Elizabeth Kreutz is an independent photojournalist specializing in documentary sports photography. Born and raised in Austin, Texas, she attended the University of Texas and studied photojournalism under department head JB Colsen. Elizabeth has traveled all around the world photographing many of the world's leading sporting events, with exclusive all access to the top athletes. Elizabeth has documented the Tour de France six times and has been Lance Armstrong’s personal photographer for 16 years. She and Lance Armstrong also coauthored the book Comeback 2.0 Up Close and Personal. She was also the team photographer for the Discovery and Astana cycling teams from 2006–2009. Her work has been featured in leading publications including ESPN the Magazine, Sports Illustrated, Outside, USA Today, Newsweek, L’Équipe, Stern, The Guardian and La Gazzetta dello Sport. In 2010 she won first prize in the World Press Photo Contest in the Sports Feature Stories category and first place in the Pictures of the Year International Contest in the Sports Picture Story category with her documentary work of Lance Armstrong. Elizabeth was one of the few photographers asked to Road Test new Canon digital equipment and participate in a round table discussion at the prestigious Visa pour l'Image photojournalism festival in Perpignan France. She is a member of the SanDisk Extreme Team and a F-stop Global Icon. On the edge of Beaumont Park, a charming garden in the historic center of Pau, the large, welcoming Hôtel Parc Beaumont stands in perfect harmony with its surroundings. Simple and elegant rooms and suites overlooking the park and the Pyrenees, restaurant with shaded terrace, and a radiant spa. 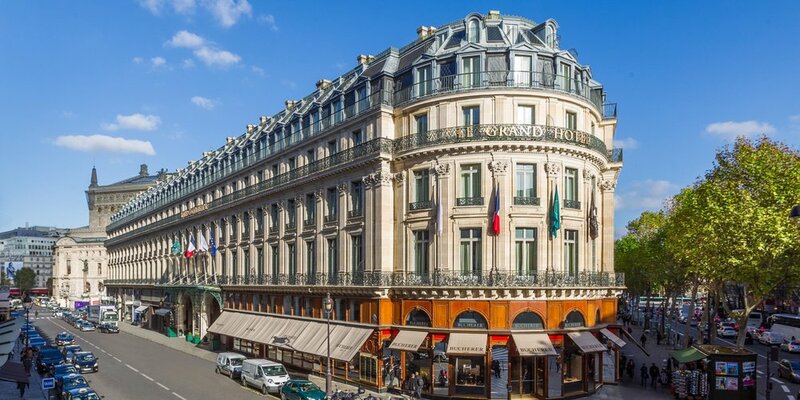 Offering historic charm in central Paris, this luxury hotel's sumptuous rooms and suites have superb views of the world-famous Palais Garnier, home to the esteemed Paris Opera. Culinary delights await at two acclaimed restaurants, Café de la Paix and La Verrière, set in a beautiful winter garden. Exclusive entrance to the Depart Village, Relais Etape, and/or Finish Line during several stages of the race, including VIP status at the Automoble Club de France on the Champs Elysées to view the grand finale. 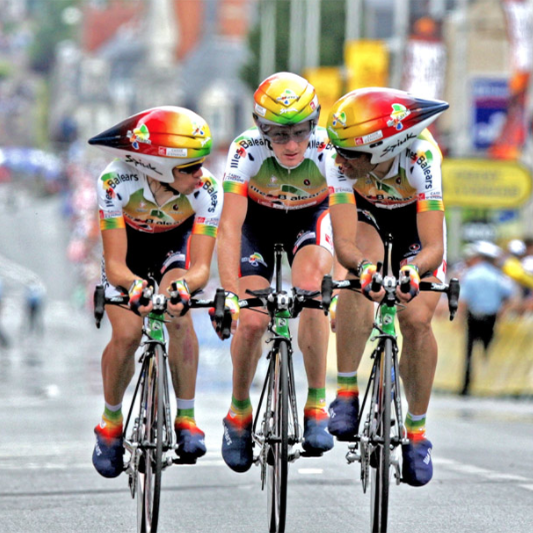 Before visiting the race and during each stage of your Tour de France viewing, Liz Kreutz will provide intensive and personalized photo instruction on how to best capture the action of this live sporting event. Take a break from the race with a day trip to the Jurançon Valley in the heart of the Pyrenées to discover and add to your cellar some rare wines, including the famed sweet wine, Jurançon, and the lesser-known Jurançon-Sec. How much prior photography knowledge do I need? All experience levels are welcome. On the afternoon of your arrival, Liz Kreutz will lead a photography instruction workshop specifically on shooting live sporting events like the Tour de France. Liz will be with you at each stage of the race to assist you in capturing the best shots. Do I need to bring my own photography equipment? Yes, you need to bring your own photography equipment. Use what you are comfortable with, but Liz uses and recommends XXXXXXX. For detailed advice from Liz on the ideal equipment for shooting the Tour de France, use the "Ask A Question About This Tour" button below. Will I be cycling on this trip? No, all transportation on this trip will be by motor coach. Guests who wish to have a private room throughout the stay may upgrade for $1,700. This additional fee covers the increased cost of hotel accommodations. All of your accommodations, all of your ground transportation, air transportation between the Pyrenées and Paris, most of your meals (with the exception of three independent lunches), and all of your Tour de France VIP access passes are included. Items not included are international airfare, travel insurance, three independent lunches, tips for your guides, incidentals, and personal expenses. Do I need to have a previous knowledge of wine to attend the wine tour? Definitely not. But a healthy curiosity will help. The Jurançon Valley is a unique wine region offering a renowned sweet wine as well as a more rare dry white wine. Whether or not you count yourself as an oenophile, the trip to the Jurançcon Valley is a wonderful way to experience the culture and natural beauty of the Pyrenées. In July, average temperatures in Paris and Pau are about 68 degrees F, but it is the hottest month of the year and temperatures can climb higher. Lightweight clothes, layers, and comfortable shoes are a must. Sun hats and a light raincoat can prove useful as well. Please click here or follow the Register buttons on this page to complete the registration form online. If you prefer, you may also download the registration form here and mail it to Uncharted Territories Tours & Travel, LLC. 1801 E. 51st Street, Suite 180-365, Austin, TX 78723. To secure your spot you must submit a non-refundable $X000 deposit either via check or credit card. You will receive a confirmation via email within 48 hours of receipt of your payment. Please do not book any related travel before you receive an additional confirmation that the minimum number of participants (8 guests) has been met. In the event the minimum number of participants is not met, all deposits will be returned. Yes, travel insurance from a global third-party insurer like Allianz is strongly recommended. Travel insurance will help to protect the cost of your trip in the event of unforeseen cancellations and will provide medical coverage in case of injury or illness while you are abroad. Uncharted Territories can secure travel insurance for you with no additional fees. Accommodation upgrades can be made at either the Hôtel Parc Beaumont in Pau or the InterContinental Le Grand in Paris. Spa packages are available at the Hôtel Parc Beaumont. For those who wish to extend their stay in Paris, Uncharted Territories can assist with additional accommodations, private transportation, restaurant recommendations and reservations, museum visits, event tickets, or shopping recommendations. Please use the "Ask a Question About This Tour" button below to make inquiries about trip upgrades.